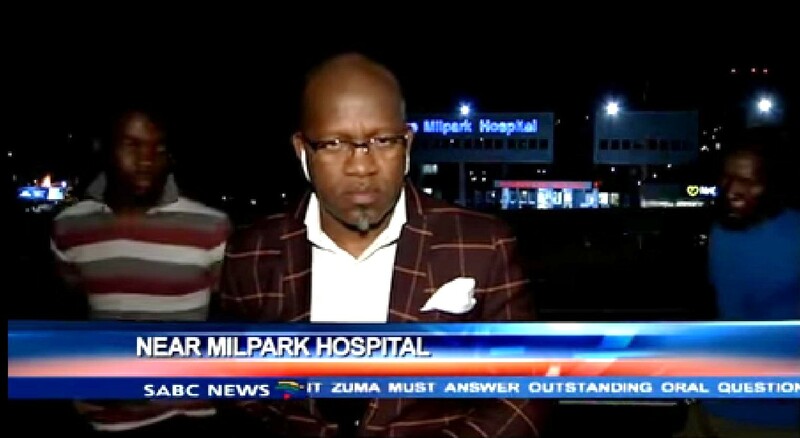 A South African television journalist was mugged on Tuesday night while preparing for a live broadcast in Johannesburg. Vuyo Mvoko, South African Broadcasting Corporation (SABC) contributing editor, was reporting on the arrival of Zambian President Edgar Lungu at Milpark Hospital, reports 9News. The video shows two men approach Vuyo, who was seconds away from going on air, and proceed to rob him and the news crew of their phones and laptop in full view of the rolling cameras. “They took about two or three phones, the laptop that we’re using to do the crossing, and they just disappeared,” said Mvoko in an interview. Police were notified and are investigating the robbery.